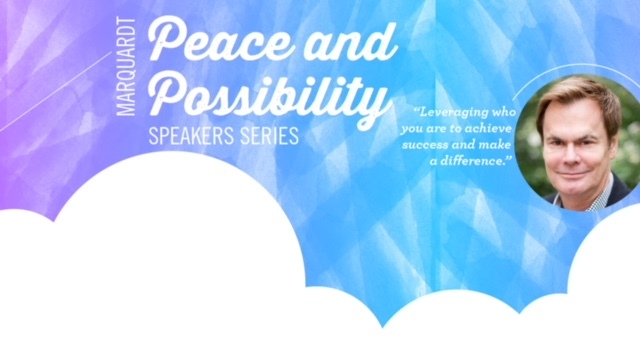 The Jane and Tami Marquardt Peace and Possibility Speaker Series aims to bring high profile LGBTQ leaders and advocates to Weber State University to provide cultural opportunities, enhance the "welcomeness" and inclusion of campus, and to cultivate the "ally" community. This year, our good friend and fellow philanthropist Bruce Bastian will keynote our series. Bruce is the co-founder of WordPerfect, and has been a generous contributor to the LGBTQ+ Community as well as the arts across the country and here in Utah. Come join us for the annual Marquardt Peace and Possibility Speaker Series on Thursday, March 15, 2018 at Noon in Ballroom C of the Shepherd Union Building. We are very excited to welcome Bruce W. Bastian as our keynote speaker this year. All are welcome to attend and the event is free.